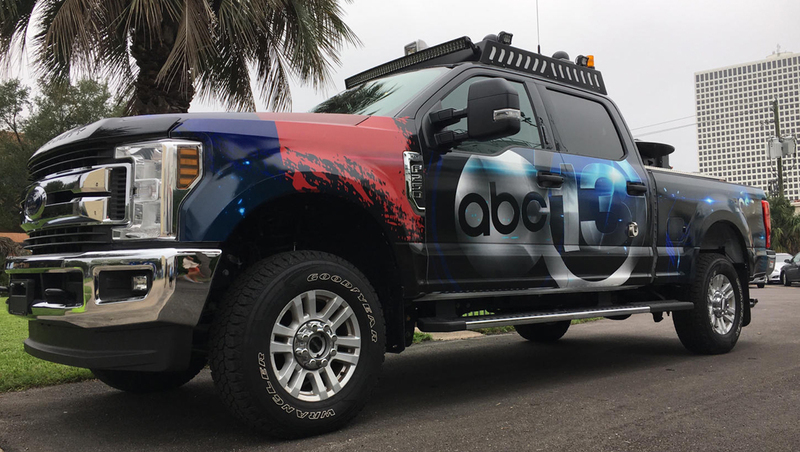 KTRK, the ABC O&O in Houston, is ready to the hit the roads — or almost any terrain — with “The Boss” — a retrofitted Ford newsgathering vehicle. 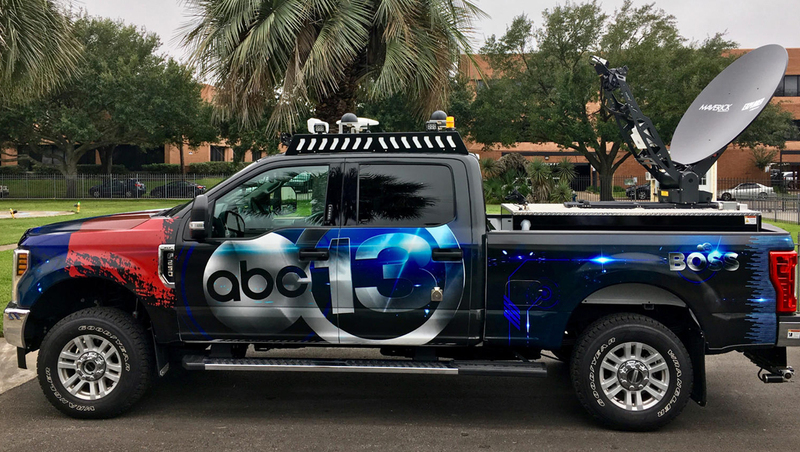 According to a tweet the station posted, its news teams found its standard news vehicles couldn’t travel to certain places during its Hurricane Harvey coverage — something the new heavy duty vehicle, which is an enhanced F250, can help out with. The vehicle is equipped with KUIP satellite transmission and bonded cellular technology and talent and forward facing dash cams and HEVC encoding, giving it flexible options for live video transmission. The vehicle is covered in a dramatic version of the ABC 13 logo that stretches over the front and rear doors, with red and blue accents. Its name, “The Boss,” is featured on the exterior of the bed. Heavy duty, over the top newsgathering vehicles have come into vogue over the past few years as both a storytelling tool and prominent public symbol of the station. In some cases, such as the “Thunder Truck” which is also based in Texas — at KXAS in Dallas, the vehicles are dedicated to weather coverage. In fact, KXAS has taken its so-called “Storm Fleet” to the next level — including the “Lightning Truck” and “Storm Ranger” vehicles and “Sky Ranger” helicopter in a dramatic promo. KTRK appears to be using “neutral” branding for its vehicle with “The Boss” name, giving its name the flexibility to be used for weather, traffic and other types of coverage. While electronic news gathering vehicles outfitted with microwave technology and larger scale satellite transmission trucks are a mainstay in TV news, the industry has moving more toward using more compact satellite and bonded cell powered gear — which can alleviate some challenges of the older technology. Essentially, updates to technology are making live transmission from any location with reliable cellular signals possible, as well as allowing vehicles to be in motion while transmitting.